This commentary was originally posted on EDF’s Energy Exchange blog. 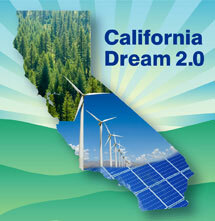 The digital “smart meter” replacement of antiquated analog meters in California has caused quite a stir. These devices have been making headlines since installations began en masse in 2006 because of concerns about health risks related to the wireless technology they use to transmit data and coincidental bill increases. While an independent contractor hired by the California Public Utilities Commission found that the initial bill increases were due to summertime rate hikes and unusually high summer temperatures, PG&E’s smart meters are in the news again for billing errors. In this particular instance, PG&E remotely compared the meters’ clocks with real time. It identified roughly 1,600 out of 2 million meters made by Landis & Gyr that were malfunctioning. Its other 2 million meters, made by General Electric, don’t appear to have the problem. This isn’t possible with old analog meters, which is one of many reasons why they’re being replaced. Before smart meters, electricity users who suspected erroneous billing had little evidence to make their claims. Now the utility can proactively identify and address problems. EDF will soon be releasing a smart grid evaluation framework targeted at the plans that PG&E, San Diego Gas & Electric and Southern California Edison owe the state by July 1st. We will then be publicly evaluating those plans for their ability to deliver benefits including: increased effectiveness and reduced costs of energy efficiency and other electricity conservation programs; integration of electric vehicles and intermittent renewable electricity generation resources, such as rooftop solar panels.